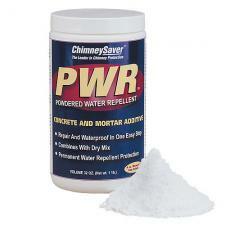 Add PWR to your mortar mix to make it waterproof. Just add one ounce to every 15 lbs. of dry mortar mix. PWR breathes, allowing internal moisture to escape but keeping rain and snow out.